Natural stone like granite, marble, and travertine can really enhance the aesthetic of a space. There’s just something about having natural materials around that feels right. And the maintenance required for keeping those materials looking their best is the trade-off we make. Stone has an innate appearance of impermeability. It seems so strong and mighty and impervious to damage. But however smooth or solid your stone may seem, it’s still a porous material capable of harboring millions or billions of germs and bacteria. While the stone itself can’t sustain growing bacteria, substances that spill or come into contact with the stone can turn your floor or countertops into a bacteria buffet. Moisture, traces of fats, proteins, and carbohydrates can get ground into the stone, feeding microorganisms. 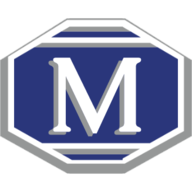 Many products available today claim to be stone-safe cleaners and sealers, capable of killing germs without negatively impacting your stone. But a few uses with one of these “catch-all” cleaners will show you that this is not the case. Acids (like vinegar) while great at disinfecting surfaces and killing germs, can cause etching in stone surfaces and are a common ingredient found in brand-name cleaners. Before attempting to clean or disinfect your stone, make sure it is sealed. A good test to see whether your stone needs re-sealing is to leave a few drops of water on the surface. If the water beads up, the surface is securely sealed. If it absorbs into the stone, it’s time to re-seal. This means no harsh scrubbers or abrasive cleaners, which can both cause scratching, etching, or other damage to your stone. Microfiber towels work best as the very structure increases the surface area available to capture oils without reaching saturation making your cleaning faster and easier. A common myth is that hot water and a mild dish soap is all a well-sealed granite countertop needs for daily disinfecting, however detergent or soap based cleaners have a nasty habit of leaving soap residue in the form of streaks. Think its clean? Wipe down a mirror in the same manner you do your granite and you can more easily see just how much is left behind in the form of streaks hidden by the stone’s natural variability. MARBLELIFE’s surfactant based technology addresses even this problem providing a streak-free finish. 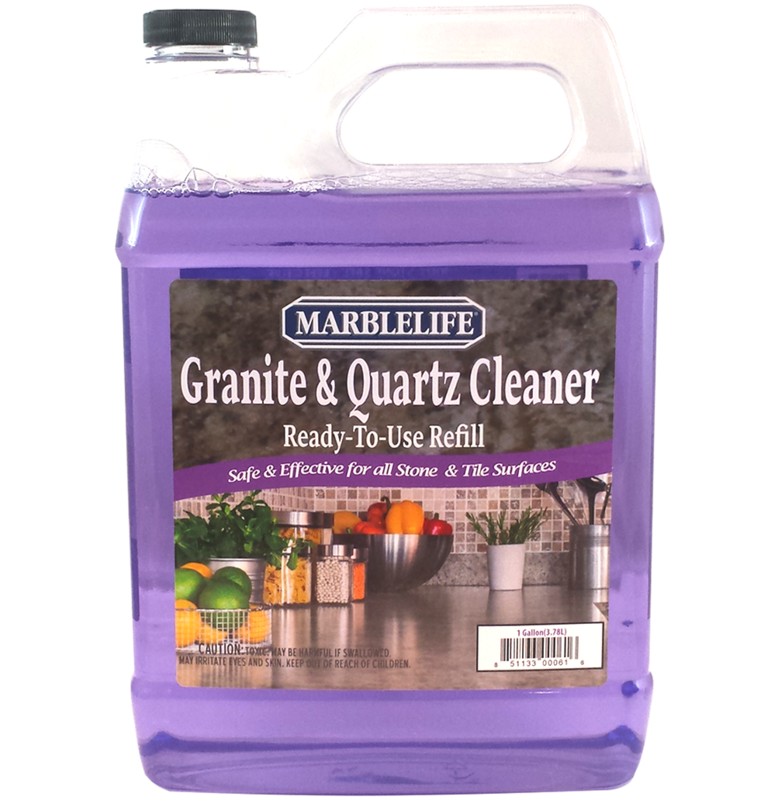 If clean is the absence of foreign material on the surface, then for a superior clean and without stone damage look to MARBLELIFE® Marble & Travertine InterCare Cleaner and MARBLELIFE® Granite & Quartz Countertop Cleaners. 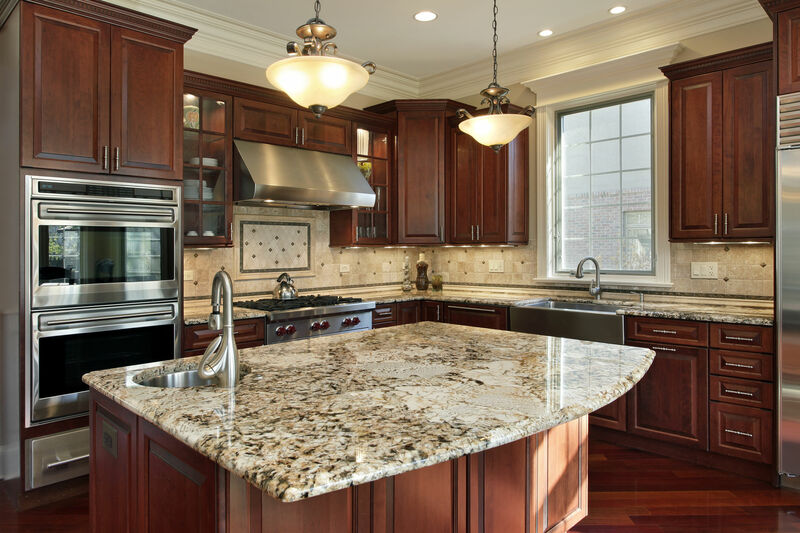 Granite and Quartz are resilient, beautiful surfaces. Keeping them looking this way is not difficult, but is commonly not done properly.